Summer will be here before you know it. 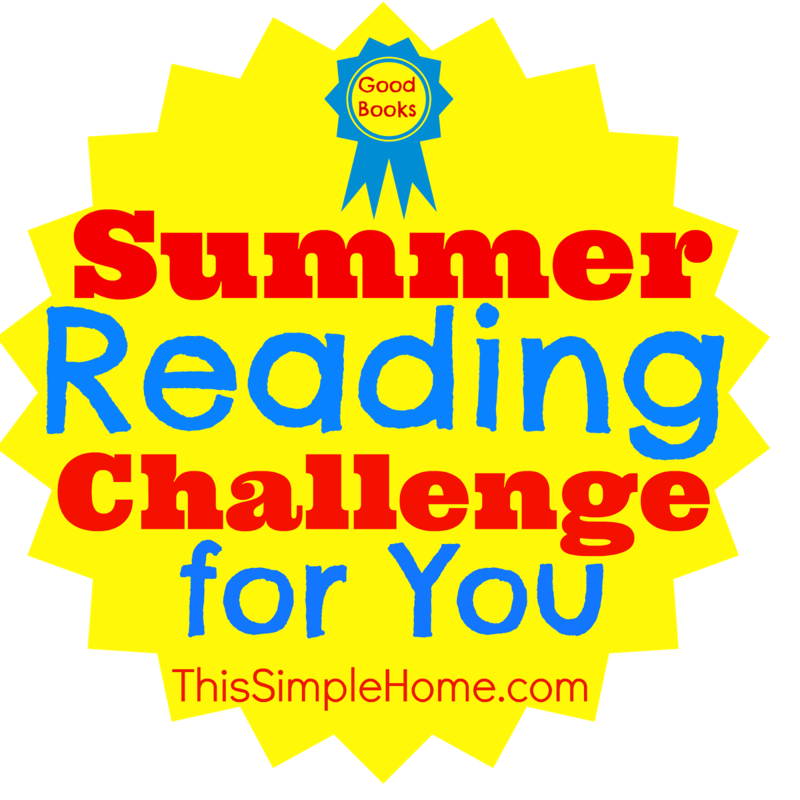 This Summer Reading Challenge is for you and your family! Are you ready? I want to challenge you to read at least one good book for yourself. This may be a book you've put off reading or didn't think you had the time to read. If you rarely read, then just choose any book! Push yourself. Need a recommendation? You'll find a variety of excellent books in various genres at these links. Top book choices of 2013 and Top book choices of 2012. I challenge you to also read one or more chapter books to your child, if you are a parent. Just because our children can read for themselves doesn't mean we should stop reading to them. Preschoolers enjoy chapter books, too. Plan to discuss it with them. Consider if you want to make a project associated with it or just ask questions. If you want to provide enrichment or seek ideas for discussion, google Title Lesson Plans, Title Critical Thinking Questions, or Title Activities. Be prepared to have fun with your child. If nothing else, just make time to read with your child. I let audio books do too much reading for our family. It's time to dive in...together! You could create a children's book worm for every chapter or book you read this summer to your children. 2. 1984, by George Orwell. It's a book that seems relevant to our culture today. I've never read it. Originally my first choice was Pride and Prejudice; if I make it through my lengthy first and second choices, I may or may not pick it up this summer. I'm not exactly eager to read it, though that may shock-or even offend-some of my dear friends. 1. The Lion, the Witch, and the Wardrobe, by C.S. Lewis. The children have heard this story on CD, but I want to actually read it to them and discuss it. We have a neat Narnia resource called Roar that will help us to discuss it. Definitely recommend it to dive deeper and spur discussion. 2. 101 Dalmatians, by Dodie Smith. This has been on my list to read for a long time. In July it's the Reading to Know Book Club choice (jump in any time). My children will enjoy it because 1) They have seen the cartoon movie. 2) My sister had a Dalmatian. We actually already began it, but won't devote too much time to reading it until Big Sister finishes first grade...on June 20. The summer reading challenge is quite simple. How would you like to participate? Will you choose a book for yourself and/or to read to your children? Please leave a comment below with the title of the book you plan to read (or several options if you are unsure). You can post your thoughts at any time during the summer, but please return on August 28 to leave a link to your posted thoughts on the book you read or just a comment if you do not blog. I'd love for you to spread the word about this reading challenge. Look forward to some upcoming book giveaways to go with this summer reading challenge. In the meantime, check out the chapter book about bullying giveaway. 1984 was a required read during my senior year in high school. That was 1970 and it scared me to death for the future! Right now I am working my way through the Janet Evanovich "Stephanie Plum" series. Just love this series! I plan to read The Kindling by Braden Bell to my kids this summer, and I have a couple other ideas. We usually get through three each summer reading aloud. I love the bookworm chart! This sounds fun. I need to start reading more and I can't seem to get motivated this will probably motivation. Summer's a great time to catch up on reading! So glad so many of you have reading ideas for the summer! I am going to read Orphan Train by Christina Baker Klein. Thanks for setting this up!